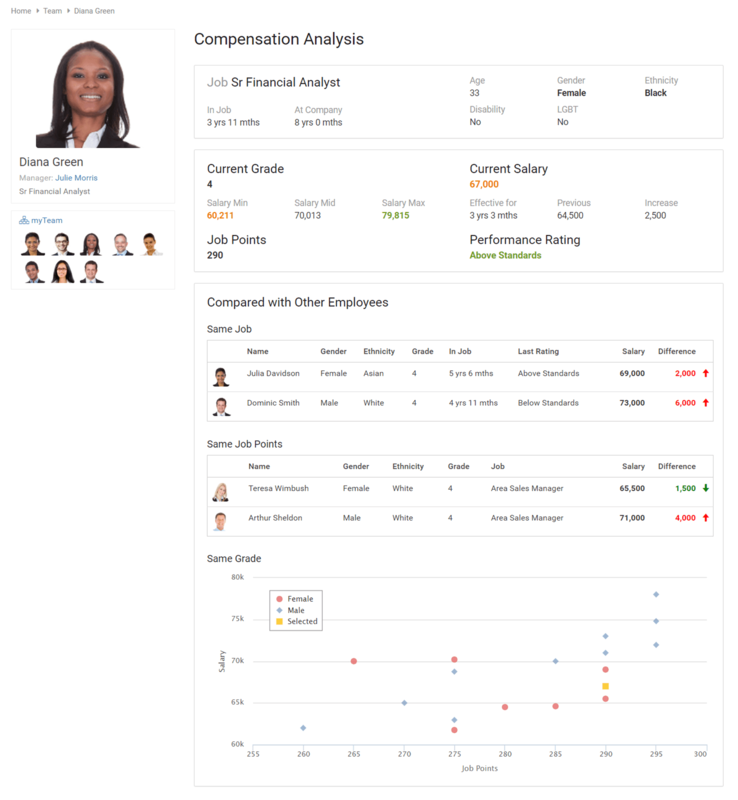 Our factor-based job evaluation/grading software solution helps assess jobs through an objective, systematic process of elimination, creating a measurement and description for every job… not for the person assigned to it. Used in government, schools and corporations, Job Evaluation assesses the relative value of jobs through a consistent set of factors, skills and requirements to align compensation strategies. Complete, fair and transparent, Job Evaluation can help to justify pay scales and eliminate gender bias in assignments and compensation. 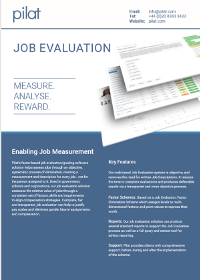 As a web-based system, our Job Evaluation solution dramatically reduces the need for trained resources, is objective, and removes the need for written Job Descriptions. It reduces the time to complete evaluations and produces defensible results via a transparent and more objective process. Factor Schemes – based on a Job Evaluation Factor Elimination Scheme which assigns levels to multi-dimensional factors and point values to express their worth. 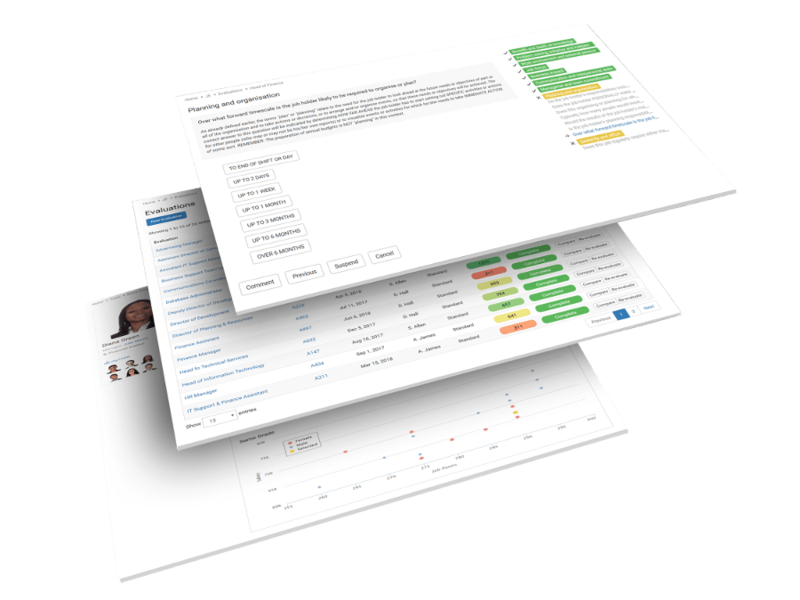 Reports – produces several standard reports to support the Job Evaluation process as well as a full query and extract tool for ad-hoc reporting. 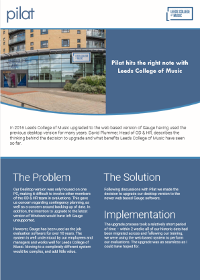 Support – Pilat provides clients with comprehensive support, before, during and after the implementation of the scheme. Fair, consistent and objective: The system asks about what is done by the Job Holder, not others’ subjective perceptions of the worth of those duties. Effective safeguard: As the software measures the job, rather than the person, you can safeguard against potential discrimination challenges. Easy: No requirement for a Job Description. 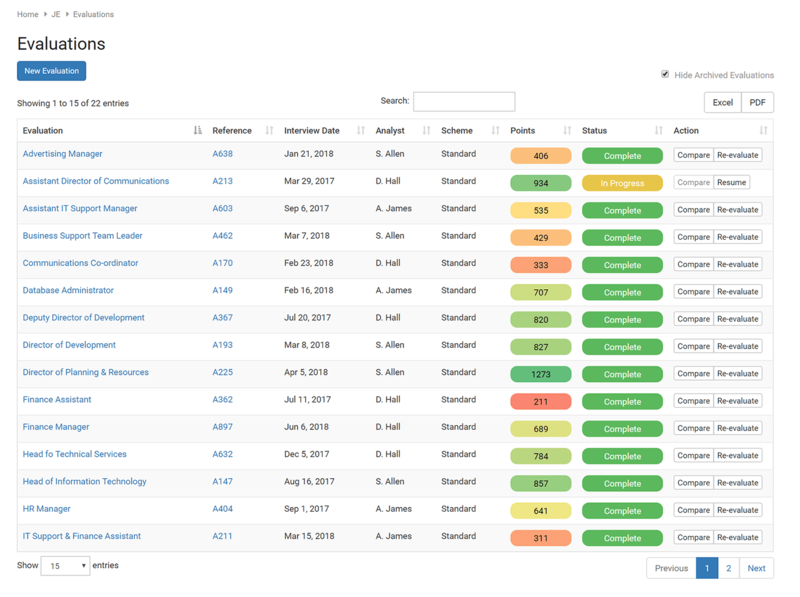 In fact, Gauge produces a Job Summary. 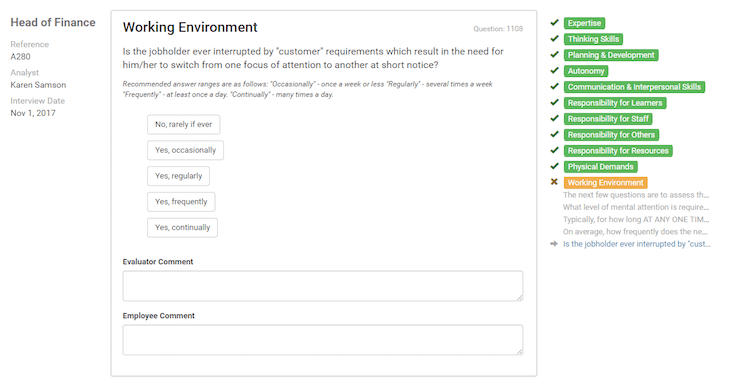 Minimal training required: A Job Analyst inputs a Job Holder’s and her/his Manager’s responses to a set of carefully tailored questions under each of the factor headings. Quick: Each Job Evaluation is typically completed in less than 60 minutes; responses to certain questions rule out the need to answer others. 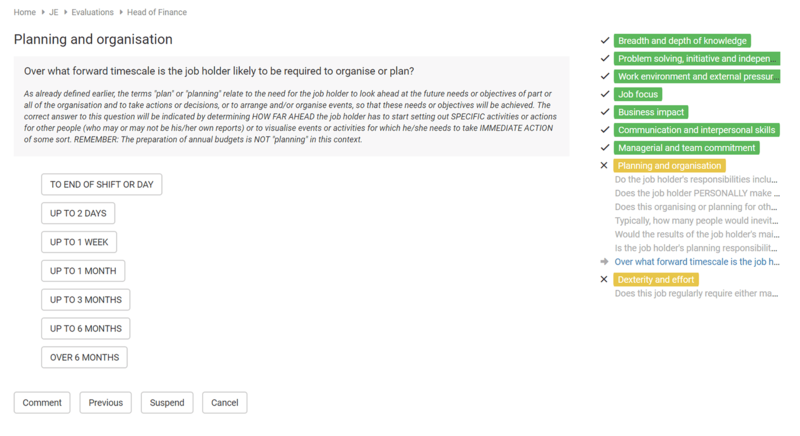 Transparent and consistent: Job scores are directly linked to question responses. Defensible: An ‘audit trail’ of answers to questions enables cross comparisons of Jobs. Buy-In: Job holders feel ‘bought in’ as they can be directly involved in evaluating their own Jobs. 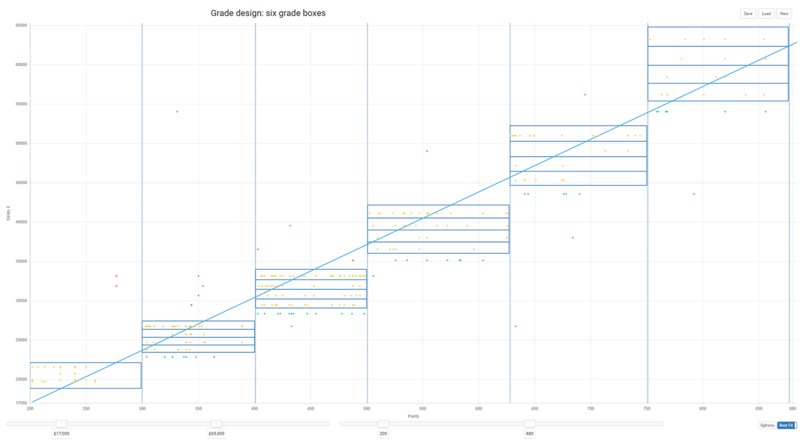 ‘Rank order’ of job scores: Job score can then be used to design a grading structure.